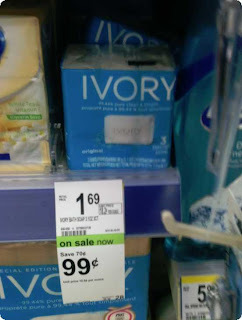 FREE 3pk Ivory Bar Soap w/ Coupon! The $0.24 Walmart soap deal was good, but this Walgreens deal beats it! This sale is valid for the entire month of July, so you have plenty of time to take advantage of it....although I bet they're gonna start selling out quick! Thanks for deal and photo, Passion for Savings!